Call for Speakers Deadline: Speaking submissions closed. The Holmes Report’s In2Summit series is a high-level event designed for senior practitioners to address the critical issues impacting engagement, ranging from analytics, digital tech and content marketing, to big data, visual storytelling and new talent. Call for Speakers Deadline:If you are interested in speaking at a PR News event, please contact Editorial Director Steve Goldstein at sgoldstein@accessintel.com. Hosted by the leading brand for communicators, PR News, the Crisis Management Summit is your graduate course and a unique opportunity to connect with like-minded peers during various networking opportunities including a ceviche tasting and opening reception. Call for Speakers Deadline: For event information, contact customer service at 800.878.5331, or cservice@ragan.com. This conference will get you up to speed on proven PR, marketing and internal communications strategies for existing and emerging social media. Gain tips, tools and techniques so effective they will transform social media at your organization. March 13 – 15, 2019; Washington, D.C. This conference serves as your trusted source for obtaining the skills and knowledge needed for crafting beautiful, memorable speeches. Attend this conference and see how you can adopt the unconventional communication strategies that motivate employees to not only think outside the box, but to embrace the fact that in today’s ever-changing business environment, there is no box. Call for Speakers Deadline: The submission deadline was September 21, 2018. Contact cmi_speakers@ubm.com to be added to their notification list for future Call for Speakers opportunities. Call for Speakers Deadline: The deadline to submit speaking abstracts was November 16, 2018. For any question, contact feliceappell@gmail.com or call (602) 999-4932. This low-cost, annual two-day regional conference offers excellent programming by quality trainers, networking opportunities, and celebration of excellence work and service via the District Awards. Learn what’s new, what’s next, and what’s essential for content marketing success. April 17 – 18, 2019; Washington, D.C. Call for Speakers Deadline: If you are interested in speaking at a PR News event, please contact Editorial Director Steve Goldstein at sgoldstein@accessintel.com. At PR News’ Measurement Conference you’ll learn how to tie your organization’s goals to the KPIs that matter most and how to use those numbers to sharpen your next initiative. Call for Speakers Deadline: If you have questions regarding speaking or sponsorship opportunities, contact Amy Lach or Isidro Reyna. This conference will bring together public relations and communications professionals from across Texas, Arkansas, Kansas, Louisiana, New Mexico and Oklahoma for three days of professional development and networking. Call for Speakers Deadline: Contact rob@wynnepr.com for speaking opportunities. BROADCAST-U is a brand-new event for public relations professionals at universities, colleges, engineering schools, business schools, and non-profits. BROADCAST-U lets PR professionals personally network with TV producers and bookers in one place, at one time. Call for Speakers Deadline: There is no listed deadline. To learn more, apply here. Learn to redefine what social media means for your business, your brand, your future. Call for Speakers Deadline: Contact silverda@buffalostate.edu for information about the PRSA Northeast District Conference. Join PRSA for a day full of inspiring presentations, thought-provoking conversations and impactful networking. Call for Speakers Deadline: Contact IABC at conference@iabc.com or via online form. With the theme Think Forward and an eye toward the latest trends, solutions and ideas, the 2019 IABC World Conference will explore new challenges and opportunities facing the communication profession. Call for Speakers Deadline: The Call for Presentations for the PRSA 2019 Corporate Communications Conference is now closed. If you have any questions, please contact sections@prsa.org. Call for Speakers Deadline: Contact Val Wilson at colorcommconference@gmail.com about speaking opportunities. C2 (short for ColorComm Conference) is the ultimate business conference and retreat for women of color in communications. Unlike many conferences with thousands in attendance, C2 is an intimate group of over 500 multicultural, professional women. Join Florida’s top communications professionals for networking, learning and the PRSA Sunshine Radiance awards ceremony. Call for Speakers Deadline: Contact Content Marketing World via online form. At the PRSA International Conference you’ll be able to choose from a wide range of programs spotlighting the latest in public relations and communications strategies and tactics. October 24 – 25, 2019; Washington, D.C.
issues and write about your research, your graduates and your business schools. Call for Speakers Deadline: Email amanda.hassler@haymarketmedia.com with questions. An event description has not yet been posted. The 3-day conference is a high-level forum designed for senior practitioners to address the critical issues facing the profession. Communications Week was founded in 2014 to bring together the greatest minds in PR and media. The biggest industry organizations and media outlets have been supporters of the week since the event’s inception. 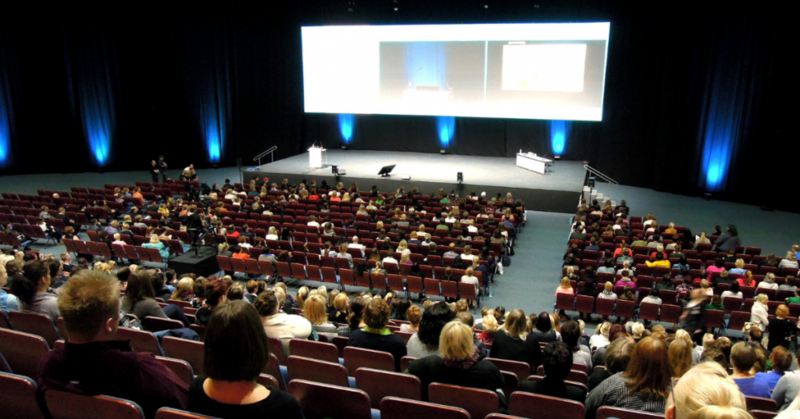 Are you attending any of these conferences? Do you need help submitting to speak at one of these shows? Contact us today to learn more about how we can help.